Brad brings a passion and understanding of the Australian wilderness to his tours that’s been developed from many years leading some of the toughest treks in Tasmania and the Northern Territory. His qualifications in eco-tourism and remote wilderness first aid ensure a safe and professionally managed trek; his enthusiasm and love of the bush guarantees the trip of a lifetime. When he isn’t leading and managing our treks you will find Brad exploring the deepest most remote wilderness regions he can find. A truly inspirational guide and an awesome bloke. Kate is a country girl with a corporate city life background, well that was until she discovered her love of trekking in the Andes. 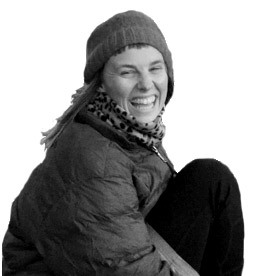 With a Certificate IV in Outdoor Recreation and remote wilderness first aid qualifications, Kate has led an impressive resume of treks in the Northern Territory, South Australia, Tasmania, Nepal and New Zealand for nearly the last decade. A senior Larapinta Trail specialist with a beautiful nature, extraordinary knowledge and leadership skills, Kate always delivers an exceptional wilderness experience. 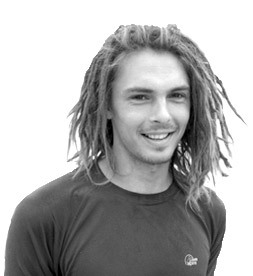 Originally from the beautiful New Zealand, With a degree in Outdoor Education and Leaders Wilderness First Aid qualifications, Josh has a passion for taking people out bush. A rural upbringing in NZ helped him to feel comfortable taking people into remote locations. He started his guiding career in Australia's Northern Territory and has been answering the call of the outback ever since. A guiding professional with a love of the environment and indigenous culture, Josh is well at home leading our Larapinta and the Top End, on the Jatbula Trail and Kakadu treks. When he isn’t guiding treks (and sometimes when he is) Josh loves to cook, climb and take inspiring photographs. Nick was born and raised in Australia’s third oldest city, Launceston. 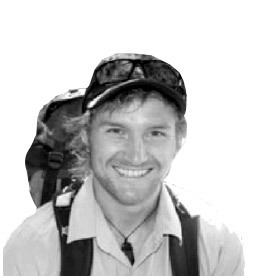 Commencing his wilderness guiding career in 2008, Nick has been leading treks across Australia, including the Bungle Bungle Ranges, Jatbula Trail and South Coast Track. An avid traveller with a passion for languages and culture, Nick’s journeys have taken him to California, Patagonia, Nepal and Nicaragua to name a few places. Hidden talents include a passion centred around geography, Arthur Youd and some knowledge of Australian Rules Football. Nick has a special love for Tasmania’s Wilderness World Heritage Area, including the Walls of Jerusalem, where he started hiking as a young lad. Nick is an experienced professional, who continually delivers high quality walking holidays experiences as a true ambassador of the wilderness. Blessed with a confident and outgoing personality along with tertiary qualifications in Geography (Conservation Management/Botany) and Wilderness First Aid, Stella is passionate about the conservation of natural areas. A fanatical botanist, she can talk about plants until the early hours. Her hiking obsession has taken her to the Himalayas, Black Sea coast, North America, New Zealand and to many remote corners of Tasmania and mainland Australia. As a child growing up in a remote region of the Northern Territory, she was infused with a deep appreciation for this wild and beautiful part of Australia. Stella calls the Larapinta Trail home in the winter, whilst also completing specialised treks in some of our other destinations including Kangaroo Island and the Walls of Jerusalem in Tasmania. A native of Tasmania, Ben grew up in the foothills of Mt Wellington, where he spent his formative years exploring the wilderness and developing a passion for the outdoors. 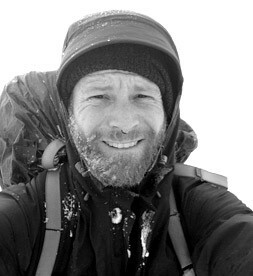 The past few years have seen him guiding treks in Tasmania, the Northern Territory and Victoria. 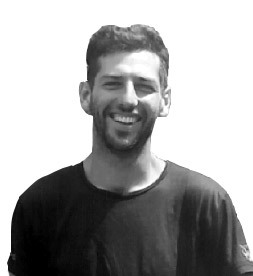 A professional trekking guide with remote wilderness first aid qualifications and a love of nature, Ben is a great asset to our Trek Tours Australia team. 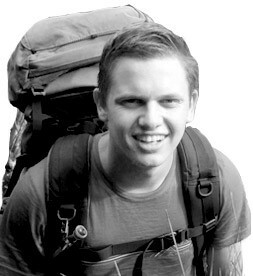 Jacob is a native Tasmanian with a passion for remote trekking adventures. Having guided on some of our challenging treks for the past 5 years, including the remote South Coast Track and End to End Larapinta Treks, Jacob brings a calm and reassuring nature to our treks with his unique guiding style. Gifted with hidden musical talents, Jacob will bring to life your wilderness trekking experience and guarantee a special walking holiday experience each time. Hayley grew up in the Dandenong Ranges in a little town called Belgrave, loving the outdoors and adventuring with family and friends. After graduating from high school she spent the next three years travelling and studying psychology, but decided that it wasn't for her and that adventures could be sought through work and play. With a Diploma of Outdoor Recreation and Leaders Wilderness First Aid qualifications, Hayley made her way to the Larapinta Trail through a study placement four years ago, and fell in love with the rugged beauty of the West MacDonnell Ranges. 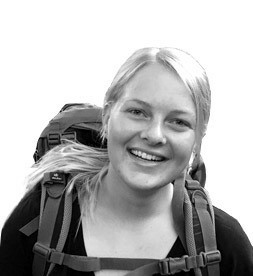 A guiding professional with a love of being ‘out there’, Hayley brings experience and passion to every trek she leads. Rob is an easy-going character with a passion for the outdoors. Growing up in Tassie meant that he was never too far away from experiences in the outdoors. After completing high school Rob spent 9 months living in England and Holland and traveling around Europe to broaden his horizons. In his spare time, you can find Rob bushwalking in Tassie’s remote wilderness, rock climbing or mountain bike riding. 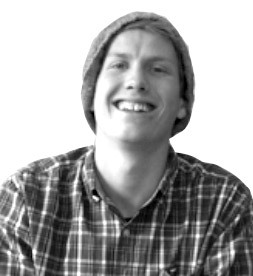 Rob comes to us with a bachelor of education with a minor in Outdoor Education. He is a firm believer in learning through experience and is keen to share is passion and experiences with you. Lauren grew up on Sydney's northern beaches before studying Environmental Science and Geography at Macquarie and Tasmania Universities. She spent several years community campaigning on climate change in Hobart, but realised that understanding the natural world and its systems all starts with getting people outside and developing an intimate connection with what's around us. 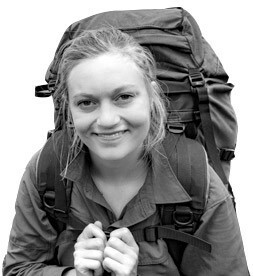 Lauren completed her Certificate III in Outdoor Recreation and Certificate IV in Adventure Guiding in 2014, along with Wilderness First Aid qualifications - before commencing her wilderness guiding career on the Overland Track and the Freycinet Peninsula. Lauren is keen to share her passion for the outdoors whilst creating magical moments for her guests on our Larapinta Trail treks. Rob is a storytelling guide originally from Tasmania where he has spent the last seven years dividing his time between guiding in the wilderness and working with young people in the class room. Raised in remote North Queensland, he has a love of Australia's wild places and sharing stories about their rich natural and cultural histories. A master story teller, Rob has Leadership First Aid qualifications and brings experience both from his background as a science teacher and his love for bushwalking and rock climbing to ensure a safe, enjoyable and memorable trekking experience. 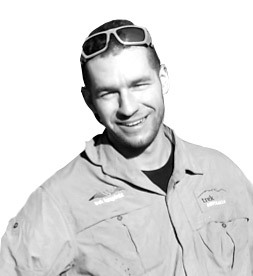 Benni is what we call an enthusiastic, hardworking and generous outdoor guide. Always smiling and with an eye for detail when it comes to customer service, Benni balances guiding remote expedition treks in his home state of Tasmania with the beautiful Larapinta Trail and remote Top End treks of Northern Australia. Benni holds a certificate 3 in Guiding together with Wilderness First Aid qualifications. He has a keen interest in fine native wood carpentry and ecofriendly waste management solutions which partners well with our companies ecotourism philosophy. 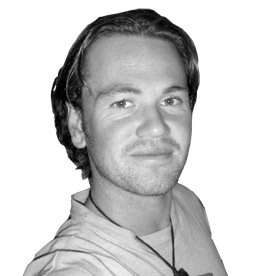 Declan has always had an interest in bushwalking from growing up in his native Tasmania. 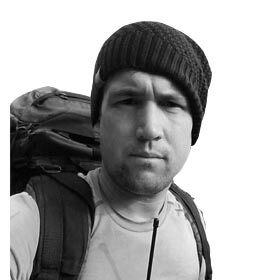 Since gaining his Eco-Tourism and Wilderness First Aid qualifications in 2013, Declan has been guiding on famous trails such as the Overland Track, the Jatbula Trail and the Larapinta Trail. It’s this passion for the Australian wilderness, combined with years of outdoor expedition experience which creates wonderful trekking holidays for our guests. 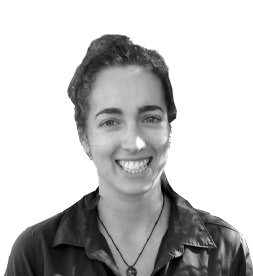 Eve comes from Adelaide South Australia and has completed a double diploma in Outdoor Recreation and Tourism, along with wilderness first aid qualifications. Her passion for the outdoors has taken her to Canada, New Zealand and Japan and she has spent extensive time exploring South Australia, including the Flinders Ranges and Kangaroo Island. Her love for the Northern Territory started when she joined us on the Larapinta Trail while on work experience in 2015 and 2016 and couldn't wait to come back once finishing her studies. Eve has a huge passion for the natural Australian environment and is keen to create a memorable experience for her guests on her favourite trips including the Kangaroo Island Wilderness Trail, the Heysen Trail and the Larapinta Trail. Mitch is an experienced wilderness guide who has been professionally guiding for over a decade. Originally from the beautiful coastal town of Devonport Tasmania, Mitch started his guiding career in the remote wilderness regions of the Kimberley in Western Australia. With a Bachelor in Human Movement, majoring in Outdoor Recreation and Wilderness First Aid qualifications, Mitch is excited to be joining us on our remote expedition treks in Tasmania and the Northern Territory. 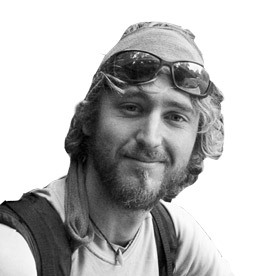 Having travelled the world for many (if not too many) years, including Brazil and Namibia, Mitch is passionate about meeting people and sharing his love of travel and the great outdoors. 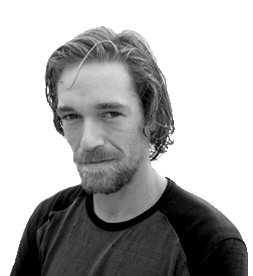 Morgan is a native Tasmanian having grown up with a love of the great outdoors, enjoying bushwalking and rock climbing. She has a passion for introducing people to the bush where they can find a place to disconnect from busy life, be curious and be challenged. This is reflected in her work with Launceston College where she guides 16-18 year olds on multiday bushwalks in the Tasmanian wilderness. 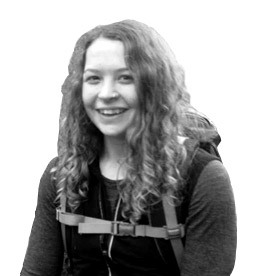 Morgan has Wilderness First Aid and navigation qualifications. She is also currently study a Bachelor of Environmental Science at the University of Tasmania. Morgan looks forward to exploring the Larapinta Trail and sharing her love of the bush and wilderness with you this winter. 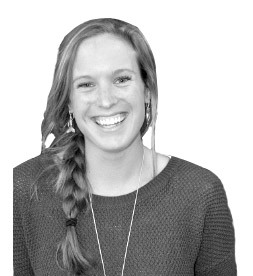 Hailing from 40 degrees south, Tasmania, Alisha brings a passionate and caring nature to the treks she leads. Alisha decided to become a guide after having extensively explored Tasmania’s wildest places and also doing some hiking overseas, including Spain and Portugal. 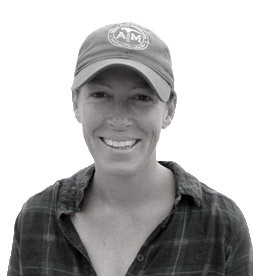 With a Certificate 4 in Adventure Tour Guiding, a Certificate 3 in Outdoor Recreation and Wilderness First Aid qualifications, Alisha is an outdoor guiding professional through and through. Alisha will bring to life her treks through a passion for geology and botany and enjoys guiding on the Larapinta Trail, the Jatbula Trail and Overland Track to name a few of her many trekking favourites. When not rock climbing in her spare time, Alisha enjoys travelling and in particular cycle touring. Originally from country New South Wales, Sharna is a caring, personable and experienced guide who keenly showcases the amazing Australian wilderness. Having previously pursued a career in photojournalism, Sharna loves to meet new people and share the wonders of the natural world. Sharna holds a certificate 4 in Tour Guiding and Wilderness First Aid qualifications. When not guiding (and also when guiding) on the Larapinta Trail and showing our guests this incredible walking destination, Sharna loves to practice yoga, photography and enjoys a guitar session or two. Cultural Connections NT is a leading force in raising cultural awareness. Deanella Mack is a local Arrernte woman who was born and raised in Alice Springs. Standley Chasm/Angkerle Atwatye is part of her dreaming and connection to country and where she lives with her family. 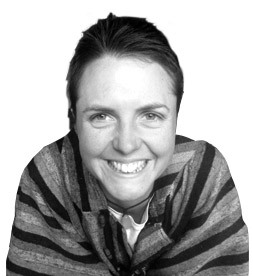 She works with organisations, businesses, groups, and individuals to deliver a wide range of cultural services. 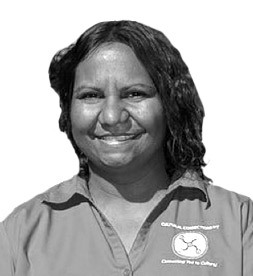 Having lived and worked in Alice Springs all her life, Deanella has gained a wealth of experience and knowledge that will benefit those who are wanting to gain some insight into local culture, or for business and organisations that are working towards delivering culturally appropriate services within the region. Armed with a Certificate IV in Training and Assessment and studies towards a Bachelor of Psychological Science, Deanella brings a fresh and modern day perspective to cultural awareness training and support. She is approachable, articulate and loves sharing her knowledge in order to facilitate understanding across cultures, considering herself to be a ‘Facilitator of Understanding’. Trek Larapinta and Cultural Connections are entering their 3rd year of working together to deliver Cultural Conversation insights for our 9 day and 16 day End to End groups.